Where did this label come from? I’m used to solving mysteries—or at least admitting when I’m licked. Here’s one that I’ve been chewing over for months, and enlisted the help of an old colleague who used to make utility software who was equally stumped. Readers, do you have ideas? Update: See the solution at the bottom. Did you guess what it was? Macworld reader Jeff wrote in with a problem his mother was having. 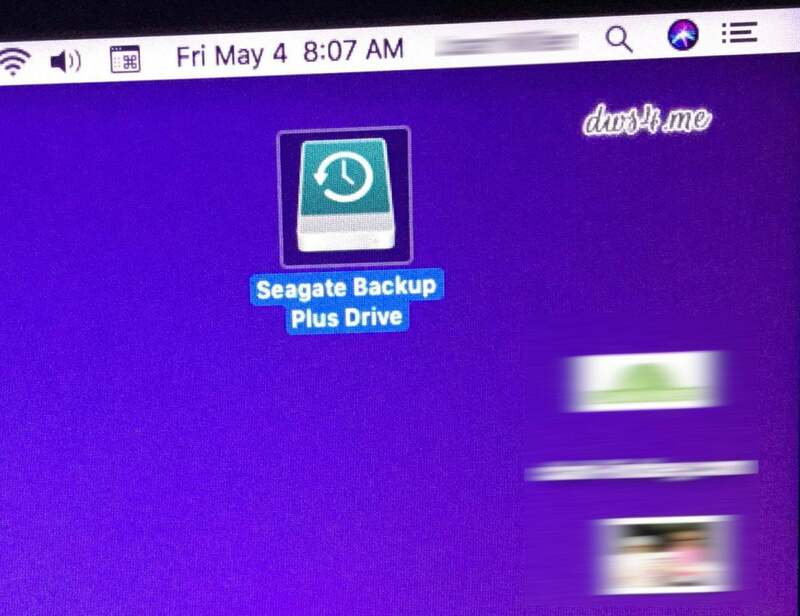 From time to time, her external Seagate hard drive that’s used for Time Machine backups has a “Dust Me” label that appears at its top. When she dusts it, she tells her son, it disappears. You can see what’s happening in screen capture below. The message appears and goes away when the drive is dusted. Or does it? “I’ve told her that this is preposterous,” Jeff says, but she sent him the screen capture and he lives hundreds of miles away. He hasn’t yet been able to visit in person to work it out, and can’t seem to troubleshoot with her remotely. It’s definitely a good idea from time to time to power off your hardware and use compressed air or lint-free or other dust cloths to remove dust from the outside of hardware and screens. Occasionally, I remove the bottom from my family’s Mac laptops and blow out the surprising amount of grit that covers the computer and is in the fans for models with fans—and we don’t even have dogs or cats. Send us email at mac911@macworld.com if you have ideas, and I’ll follow up if we get an answer that works. Readers offered a number of suggestions, and thank you! Many thought this might be a screen background that included the text in such a way that the hard drive icon overlapped it, and that the message wasn’t coming or going, but rather that Jeff’s mom had rotating backgrounds, so that the “message” appeared only at times in rotation. Others worried that Jeff’s mother had malware that was trying to fool her and similar behavior. Jeff spotted my column and emailed it to his mother, thinking it was a solution for her problem. 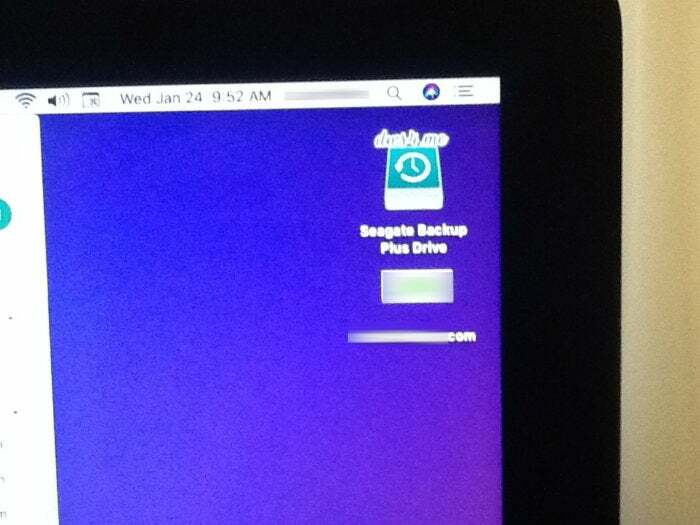 She moved the hard drive icon and sent him a screen capture (below): it was a background! Instead of reading “Dust Me” it actually reads “dws4.me”—a Web site that offers free desktop wallpapers. With the dust removed, we can see what the label really says!